Final deal: Rich Hill and Josh Reddick to Dodgers with Grant Holmes, Frankie Montas and Jharel Cotton to A's. Physicals good. Deal is done. 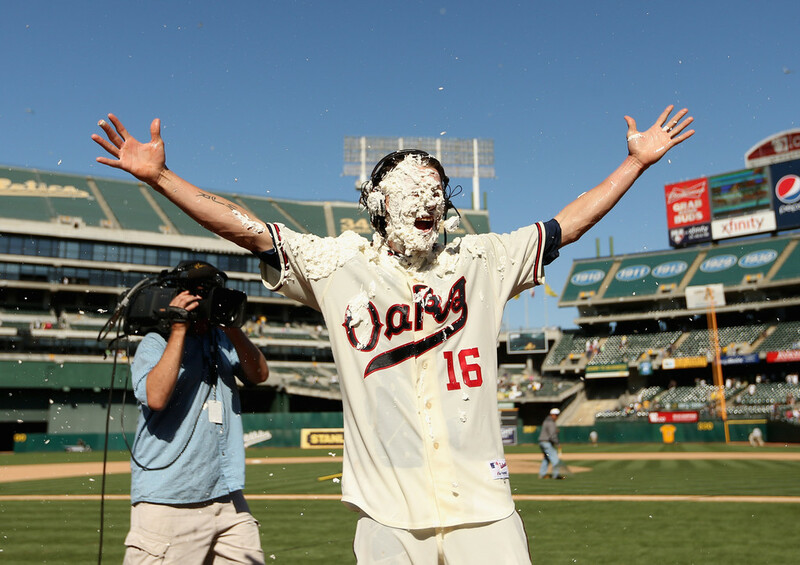 The A’s trading away Josh Reddick was not a surprise. He was a pending free agent, he had value to many other teams and the A’s weren’t contenders. But what he brought to the A’s will be missed. He exceeded expectations upon his arrival in the Andrew Bailey trade. He was labeled as a “fourth outfielder” but eventually became the team’s starter since 2012. What made him endearing to the fans was that his defense was great (he got a Gold Glove) and he had the occasional power swing. Injuries and batting inconsistencies prevented him from being such a power force, but what he provided for the A’s was something amazing. He was still one of the team’s most recognizable players, even in the recent down seasons. He liked having fun and that showed with his walk-up music to “Careless Whisper.” As a wrestling fanatic, that showed as well. Reddick was also pretty funny on Twitter when he had to be but was serious when he needed to be as well. He wasn’t the best payer on the team and he was never an all-star either. But he was with the team for some time and he provided a lot of great catches, hits and pies to teammates’ faces. But baseball is a business so we have to move on. I will miss the guy. This entry was posted in Los Angeles Dodgers, MLB, Oakland Athletics and tagged Josh Reddick. Bookmark the permalink.